Creativity is a strange thing! It’s elusive and daunting but at the same time it is so easy to find senior creatives living with a false sense of greatness, believing that every piece of work they create is God’s gift to the planet. Yet when you see creative brilliance the end product seems so simple nevertheless. As a strategist, there is a parallel between what a planner would do and what a creative does. Both need to take a leap – one takes a strategic leap the other a creative leap. The question is how? There are obviously many ways, tools, thinking frameworks, stimuli, processes, disciplines etc. that the best creative minds in the world have devised which can at least enable creative brilliance if not ensure it. One thinking framework is a media-neutral mindset. Before the digital era came upon us there was a time when “Integrated” and “360 degrees” were the buzz word in marketing communications. That time was not too long ago but it was an era when the worst form of integration was simply adapting a single idea, mostly led by the TV commercial, and pasting it across media, usually in the form of static media like print, outdoor, retail and your occasional web banner ad. On the other hand 360 thinking at it’s best was to come up with a “Big Idea”, a media neutral thought that can be scaled to any level where each media would play it’s unique role to carry the message forward both independently and as part of the larger story. The question is! What are these ideas a product off? Is it simply great media-neutral thinking focusing on the key message and coming up with the best media to communicate the idea? Or is it a creative leap on a media decision that was already made? Why the doubt? Well for one on an everyday basis client briefs tend to have already taken a media decision. For example, in the case of IKEA the brief could have been to do a cinema ad. The creative team in this case took the leap and came up with the idea of using the right moment before the movie when the curtains are drawn to place their message. Similarly, what about the 3M Post-it Super Sticky Notes on a train? Was the starting point media neutral? 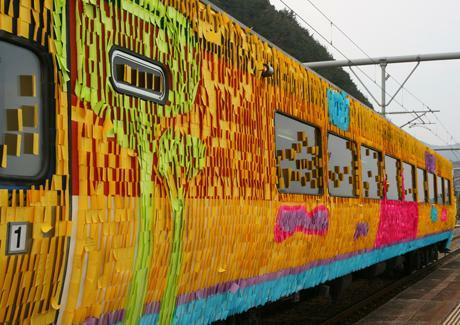 Suppose on the one hand the brief was to communicate the strength of these Super Sticky Notes most probably through a conventional media campaign but the creative team believing in media neutral ideas came up with a live demonstration of the product strength “What if they can be stuck on a high speed train and if none of them come off by the end of the journey then this is an undeniable proof of the product benefit?” Or the brief itself required a non-conventional media solution to demonstrate the product benefit and the creative were put in that mindset to think out of the box from the word go and so they did. I would like to believe this is truly great media neutral thinking at least in retrospect. But then again perhaps not! What do you think? Have your say in the comments section below.